Which one will you choose? 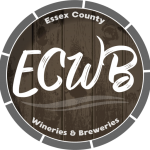 So many wines in Essex County and you still have time! It’s Oscar night tonight and the Oscar will go to…….? Two! Black Bear Farms Estate Winery’s Elderberry and Golden Plum fruit wines are looking fine in red and white with Australian white cheddar fruit tray on their sides. These tall and slim beauties … Continue reading Black Bear Farms Winery’s Elderberry and Golden Plum fruit wines with Australian White Cheddar.